Problems with attention, focus, depression, anxiety, and sleep have long been attributed to norepinephrine deficiency. But research shows that the relationship is more complex than it seems. Does a norepinephrine deficiency cause problems with sleep, focus, energy levels, and other conditions? Our story explains the complex relationship between the neurotransmitter norepinephrine and various ailments. If you’ve ever screeched to a halt to avoid an accident and felt your heart race and your breathing quicken, you’ve felt some of the effects of norepinephrine, a key player in the fight-or-flight response. But that’s not all norepinephrine does. This neurotransmitter (in the nervous system) and hormone (in the blood) plays a vital role in memory, attention, and mental focus, too. That’s why norepinephrine deficiency has traditionally been associated with problems in focusing, sleeping, and a host of other ailments. To understand how research is challenging this view, let’s take a look at how norepinephrine works. Norepinephrine is most active when you are awake and under stress. It is produced by neurons in the brain, some parts of the sympathetic nervous system, and adrenal glands. In response to stress, your brain signals your adrenal glands to release norepinephrine, cortisol, and epinephrine. Norepinephrine and epinephrine and are involved in the fight-or-flight response, causing increased breathing and heart rate, the release of glucose from energy stores, and a wide variety of additional physiological responses. In the early stages of prolonged or severe stress, the stress response system is overactive and norepinephrine and other adrenal stress hormone levels are typically elevated. This increases arousal, amplifies the emotional reaction to stress, and can manifest as insomnia, anxiety, depression, irritability, or emotional instability. 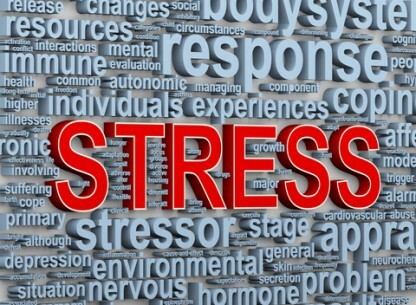 But prolonged stress leads to underactivity of the stress response system, resulting in norepinephrine deficiency, along with cortisol and epinephrine depletion. This lowers arousal and can result in low energy, daytime fatigue, concentration/focus issues, and general apathy. As a neurotransmitter in the brain, norepinephrine is important for attentiveness, emotions, sleeping, dreaming, and learning. Because norepinephrine is so important for proper attention and learning, it’s logical to assume that people who lack the ability to pay attention and maintain focus have a norepinephrine deficiency. However, the story is really much more complex than that. Research suggests that norepinephrine excess, rather than norepinephrine deficiency, is linked to attention deficit hyperactivity disorder (ADHD). Two studies have shown that children with ADHD actually have high norepinephrine as measured by 24-hour urine collection. [3,4] One group of researchers further discovered that higher urinary norepinephrine levels were associated with more severe hyperactivity. The same study showed that after one month of treatment with pine bark extract (Pycnogenol), norepinephrine levels decreased significantly and correlated with improvement in ADHD symptoms. A note about measurement of norepinephrine levels: Currently, 24-hour urine collection is thought to be one of the best ways to measure neurotransmitters. However, no technique can reveal the exact level of neurotransmitters in specific regions of the human brain. Nor can any laboratory technique assess whether brain neurotransmitters like norepinephrine are getting properly transported, binding adequately to their receptors, or functioning properly. For those reasons, neurotransmitter testing is not used in today’s medical system to diagnose any psychological disorders. Nevertheless, the levels measured from 24-hour urine collection are thought to generally correlate with levels in the nervous system, including the brain. Therefore, this is the best method available to analyze norepinephrine levels in brain/nervous system. Because norepinephrine also plays a key role in emotional regulation, it has been linked to mood disorders like depression and anxiety. While it may seem logical to assume that anyone suffering from depression or anxiety must have a neurotransmitter deficiency, including a norepinephrine deficiency, research doesn’t fully support this assumption. Some studies, in fact, report excess norepinephrine in people with depression and anxiety. [5,6] In general, people with depression have high norepinephrine levels (as measured by 24-hour urinary output) compared to people without depression. One study found that higher levels of depressive symptoms are associated with increased norepinephrine excretion in the urine. Another study, however, found that some individuals had decreased levels of norepinephrine (as measured by urinary excretion of one of the neurotransmitter’s metabolites), while others had increased levels of the same metabolite. Symptoms of anxiety are also associated with increased norepinephrine excretion in the urine. Researchers have concluded that in both depression and anxiety, high urinary output of norepinephrine reflects abnormal sympathetic nervous system activity and may be a cause of the higher rates of certain chronic diseases associated with these conditions. Norepinephrine also promotes arousal and alertness. It’s not surprising, then, that excess norepinephrine has been linked to poor sleep. A recent study looked at sleep patterns and measured norepinephrine levels in the urine of healthy adults who had no significant sleep, psychiatric, or medical problems. The participants completed detailed 2-week sleep diaries and had their sleep-wake cycles objectively measured for three nights by wearing a wrist device. Compared to normal sleepers, people who spent an excessive amount of time lying awake in bed had significantly higher levels of epinephrine as measured by 24-hour urine levels. The researchers hypothesized that the increased urinary norepinephrine levels reflected excessive activity of the sympathetic nervous system, which has been linked to an increased risk of developing obesity, metabolic syndrome, and high blood pressure. So even though these patients were considered healthy and did not have severe sleep problems, their poor sleep quality and increased norepinephrine levels may increase their risk for chronic disease. If you have symptoms of a possible norepinephrine deficiency or excess, there are a number of natural healing steps you can take. Taking proactive steps to decrease stress in your life, along with regularly practicing relaxation and stress reduction techniques, may help lower excessive norepinephrine. Since norepinephrine is made from dopamine (with the help of copper and vitamin C), taking precursors to dopamine, such as the amino acids tyrosine and phenylalanine, may help to boost low norepinephrine levels. Share your ideas and experiences with the UHN community. Are you currently experiencing symptoms of norepinephrine deficiency or excess? What natural remedies have you tried and how have they worked? Please share in the comments section below. Psychiatry Clin Neurosci. 2014 Jan;68(1):1-20. Neurosci Biobehav Rev. 2011 Jan;35(3):635-44. Arch Gen Psychiatry. 1988 Sep;45(9):849-57. This blog originally appeared in 2014 and has been updated. adhd, adrenal stress, amino acids, amino acids tyrosine, anxiety, anxiety depression, blood pressure, brain, children, cortisol, daytime fatigue, depression, depression and anxiety, depression or anxiety, depressive symptoms, dopamine, dopamine boosters, dopamine supplements, excess norepinephrine, fight or flight response, glucose, high blood pressure, high norepinephrine, hormone, insomnia 2, low energy, low norepinephrine, medical problems, memory, metabolic syndrome, mood, natural dopamine, natural dopamine boosters, natural healing, natural remedies, neurotransmitter, neurotransmitter deficiency, norepinephrine deficiency, norepinephrine excess, norepinephrine imbalance, obesity, overcome depression, people with depression, poor sleep, poor sleep quality, pycnogenol, report, sleep, sleep problems, sleep quality, stress, stress reduction, stress reduction techniques, suffering from depression, supplements, sympathetic nervous system, symptoms of anxiety, symptoms of norepinephrine deficiency, tyrosine, vitamin, vitamin c.
Why don’t researched agree on this notion? Every ailment in our bodies is because of one deficiency or another. One can say that a Vit D3 cocktail with trysine is the cure for depression. Worked for me. I had a period of depression, or started to feel myself slipping, when I took the advice of taking the amino acid L-tyrosine…1000mg day one..and 500 the day after. I started to feel more motivated within 3 hours or so. I’m Bipolar and for me, it worked to save me from the depths that depression sometimes brings. I’m starting to believe, based on my personal research and having bipolar, that the reason for the disease is because of neropinephrine imbalance……and nothing else. I learned the hard way that anti depressants are NOT to be used for bipolar without mood stabilizers. 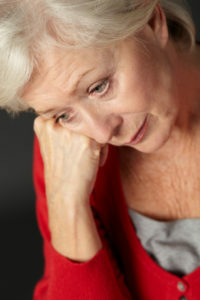 The symptoms of NA deficiency causes the depressive stage. This most likely was brought on by a stressful event that burned out the adrenal gland and its supply of NA. The symptoms also mirror that of a manic state when NA is in excess..or is that epiniphrine. . No sleep, racing thoughts, feeling like you can crawl out of your skin with anxiety, quick temper, and the scatter brain that completes the cycle. They don’t know the true cause of how bipolar occurs…. I think both BiPolar and PTSD are both linked to NA swings due to the wear and tear on the adrenals….In the case of combat vets etc…….their adrenals are BLOWN. We need the VA to do a study on this. NA is the solution. Worked well for me. Oh please don’t antagonize the va to do research. They don’t do a very good job of it. We already know what to do…..tp help ourelves..i agree with you in your thinking….all except for the oughta have the va……i promise the va is ALL ABT RESEARCH AND ITS BEEN DONE AND STILL BEING DONE AND WILL ALWAYS BE DONE. even if it means killing people and purposefully not telling them before hand. So let me just tell you now that you are right. I’m tired of studies…esp without my knowledge. I’m not sure that mania would be cause by norepinephrine because that makes you more conscious of yourself. The reason bipolar people shouldn’t have caffeine is because they have ‘natural’ caffeine, or edginess, which is not adrenaline, but dopamine. That’s the type of edginess that makes you ‘feel good’, ‘revved up.’ Norep would make you more nervous, remorseful, and anxious. But maybe there’s different types of bipolar, who knows. I WAS SUFFERING FROM ANXIETY AND DEPRESSION. THAT HAS NOW PRACTICALLY GONE, BUT I STILL FEEL LIKE NOT GOING OUT AT ALL. SOMETHING STOPS ME FROM DOING ANYTHING. I HAVE NO MOTIVATION.